A little act of charity by contributing to San Jose, California car donations can make a huge difference in the lives of our former military men and women. Yes, there’s more to donating an old and unwanted automobile than just freeing yourself from the burden of having it in your garage and paying for its insurance and maintenance fees for nothing. Do you that a car that’s no longer important to you can be a life-changing tool for our veterans? Our retired soldiers have gone to wars abroad and risked their lives to protect us. Imagine everything they had to go through while performing combat missions – getting injured or disabled and witnessing their comrades and civilians getting killed if they’re lucky enough to survive the ordeal. Some of them suffer from post-traumatic stress disorder upon returning to their homeland. While we expect these courageous Americans to be treated like the heroes that they are, many of them are left ignored, even forgotten. With more than 500,000 veterans in the U.S., it’s impossible for the government to take care of each one of them. This is where car donation programs like Veteran Car Donations would step in. When you take part in San Jose, California car donations, you enable trusted nonprofits to provide support services to our military men and women who once fought for us. Homeless and unemployed veterans may get the lives they rightfully deserve, thanks to your vehicle donation. Some of the programs our nonprofit partners offer include job and skills training, housing assistance, grief counseling, and educational scholarships. When looking for a car donations program in San Jose, California, it makes sense to choose one that offers a stress-free donation process. With Veteran Car Donations, it’s completely possible! We won’t let you suffer stress from doing paperwork and searching for a towing company. By choosing to contribute to our San Jose, California car donations program, you’re actually doing yourself a huge favor. We’ll be the ones taking care of everything – from the free towing to the processing of the tax receipt. All you need to do is to let us know that you’re ready to make a car donation, and that’s just about it! You contact us, either by calling us or filling out our form. We’ll be asking a few basic details about your vehicle, such as its manufacturer and mileage. A date and time for pickup will be arranged at your convenience. A tow truck arrives at your place to haul your vehicle away. There’s no need for you to be around during the pickup. We place your donated vehicle up for auction, with the proceeds going to the local nonprofits that are committed to supporting our vets and their families. A tax receipt will be mailed to you days after your vehicle has been sold. The receipt grants you the freedom to cancel your car’s registration and insurance. See what we mean by a stress-free donation process? This is how much we care about your needs. Veteran Car Donations accepts almost all sorts of vehicles, regardless of their age or condition. Because we will be towing your vehicle, you don’t have to worry about a non-running automobile. Whether you got a van that’s as good as new or a motorcycle that’s barely functioning, we’d be more than glad to have it. In case you’re wondering, we also take specialty vehicles. So if you’ve always wanted to get rid of a motorized wheelchair or a snowmobile that you no longer need, feel free to hand it over to our San Jose, California car donations program. Still feeling uncertain about the qualifications of your vehicle? Call us or have a look at our FAQs page. Aside from being named as one of the three safest cities in the country, San Jose also prides itself on being America’s leading patent generation city and hosting over 6,600 technology companies. Top high-tech establishments — including Cisco Systems, eBay, IBM, and Adobe Systems — are all found in the area. The city also has an abundance of well-educated adults, with over half of the population having college degrees. Other than being a city of innovations, San Jose is also known to be environment-friendly, having pioneered several environmental activities in California. 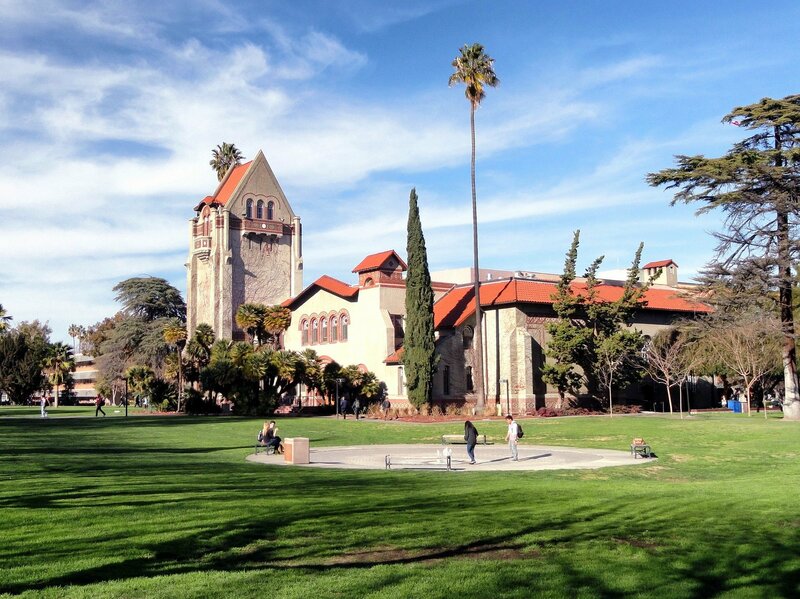 The Capital of Silicon Valley is also home to the country’s biggest institution, the San Jose State University. One of the nation’s largest public libraries, Dr. Martin Luther King Library, is also located in this city of California. Ready to use your car as a fund-generating tool for our heroic men and women? Start changing lives today! Make a donation to us at 877-594-5822.